Ever wondered how a shoe is born? 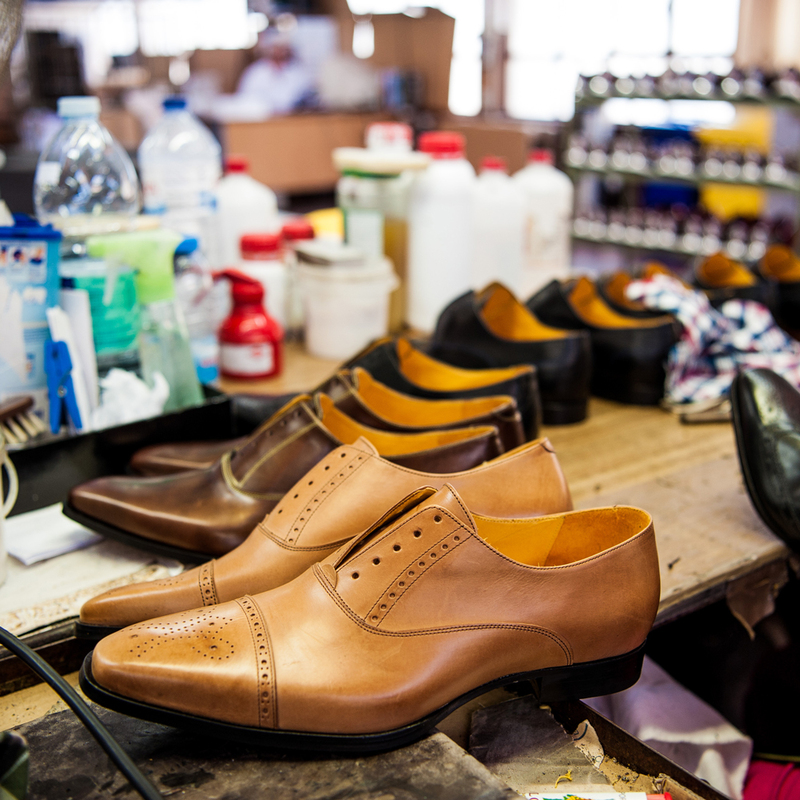 Undandys are proudly handcrafted in a third-generation shoe workshop in São João da Madeira, often referred to as the shoe capital of Portugal. 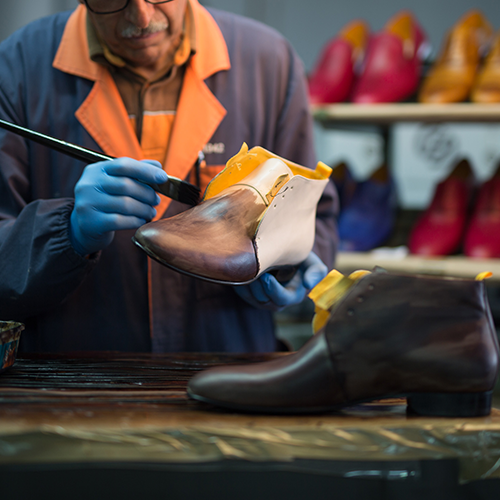 Portuguese craftsmanship is world renowned, most of our cobblers have been working with shoes for over 40 years passed from generation to generation, with incredible passion and dedication to crafting each and every pair of shoes. 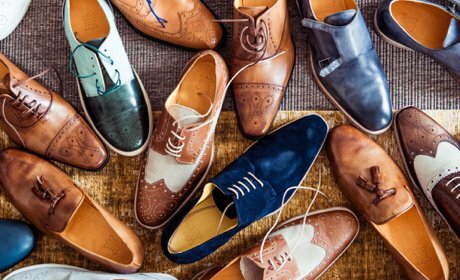 At Undandy we are delighted to share this passion and expert craftsmanship with you, so you too can be initiated into the art of shoemaking. 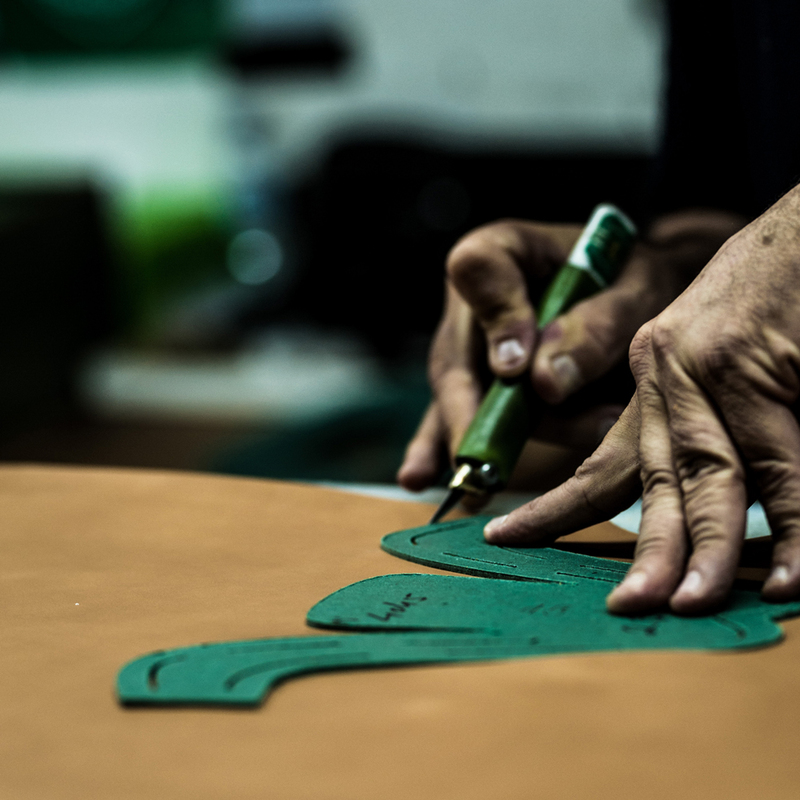 The best stories start with a great beginning; our exceptional quality, full grain calf skin leathers are sourced in Italy and France. 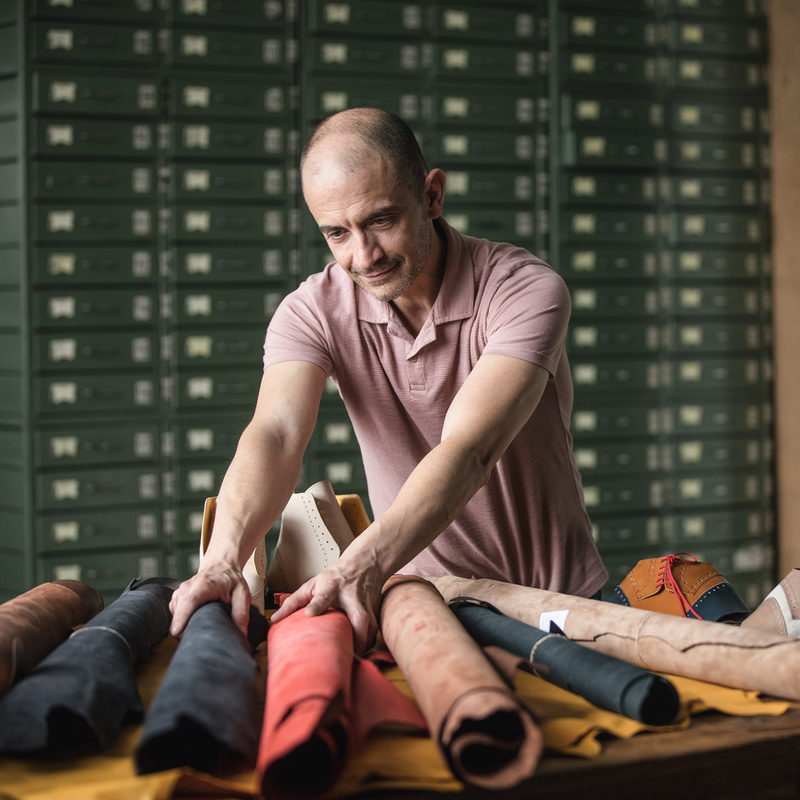 The majority of the leathers are overseen and sourced by Paulo, who has over thirty years of expertise in leather classification and grading. 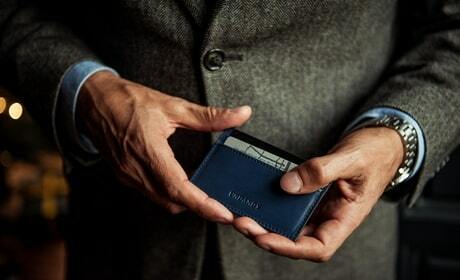 We have over 50 colours available in our leathers and fabrics, from matt to patent, canvas to suede. 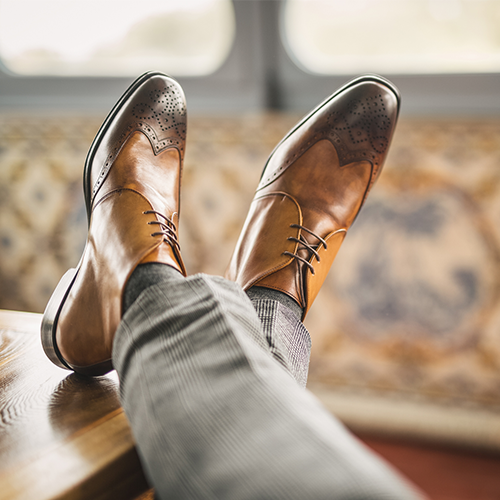 As soon as you have designed and ordered your shoe, the order is processed and the different materials are gathered in our workshop, according to the specifications of the customisation. 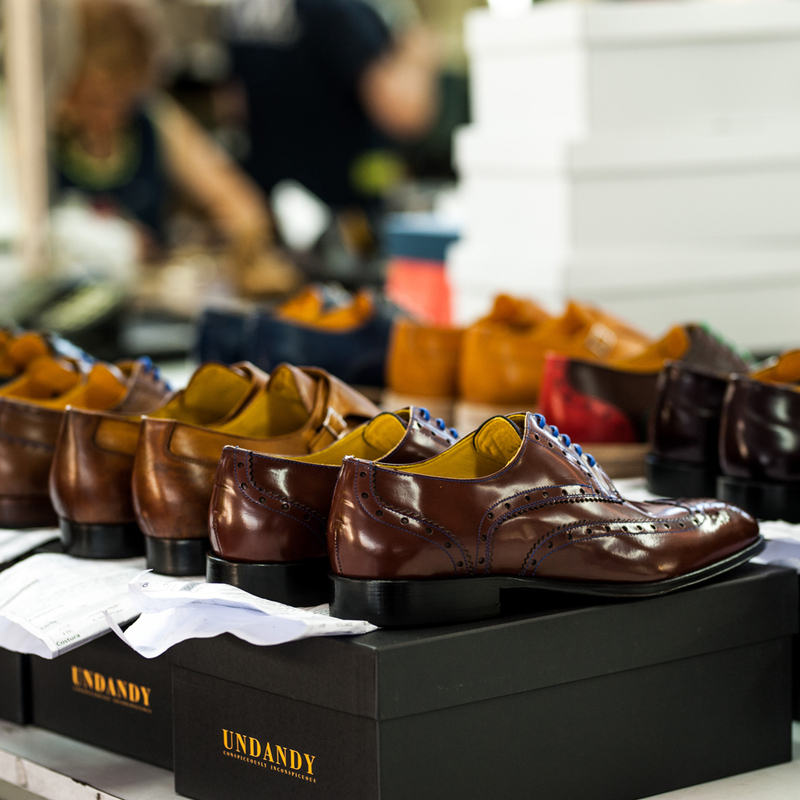 The fabrics are then hand cut using the specific Undandy shoe model and style, ready for the next stage of cutting. From laces, to the glue used, it's the little things that we don't see on the final shoe, that are invisible, but are crucial. 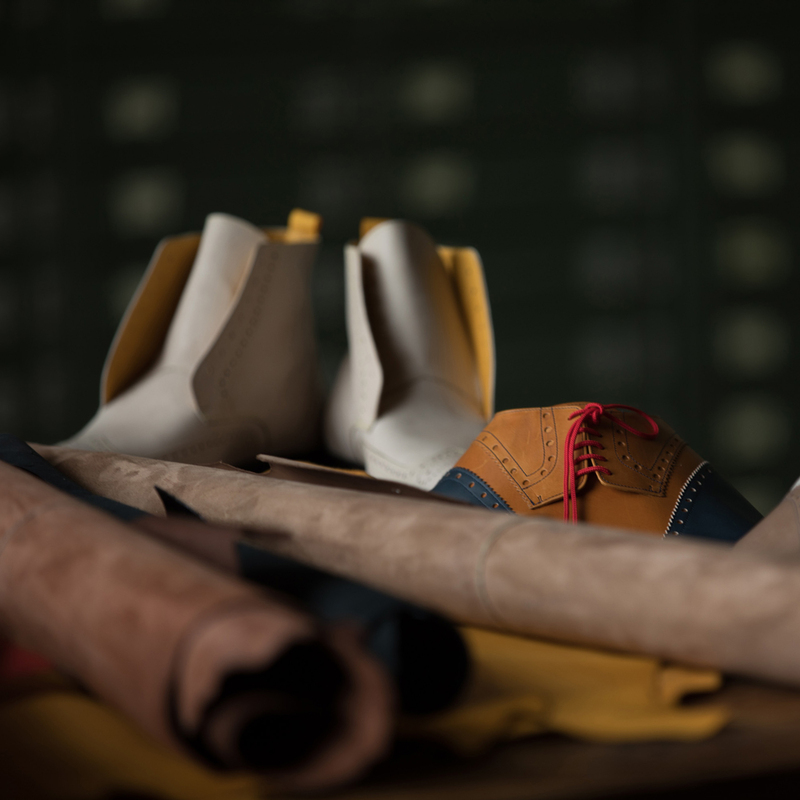 The secondary stage is the more advanced cutting of the leathers and fabrics, depending on whether the shoe is to be full or half brogue. Head pattern cutter Mario creates the pattern for each pair of shoes, deciphering the specific instructions for the seamstresses to follow. Once the pattern is carefully created, the first shoe passes to Maria Julia, our head seamstress who has been sewing shoes for 45 years. Her nimble hands and expert eye is invaluable when carefully constructing the first sample. This is then passed to the other seamstresses who work on the final result, their sewing machines skilfully clacking in rhythm. The design of the patterns needs to be done entirely by hand, there is no machine that can do it. 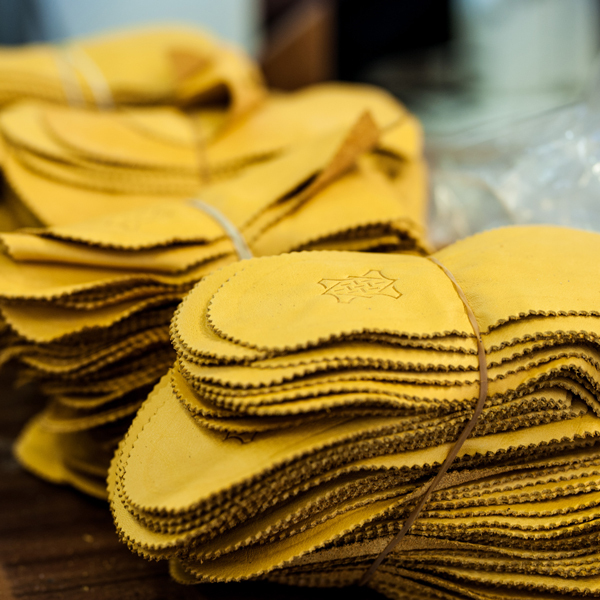 The insoles are nailed onto the shoe last, with the toe cuff and counter cuff applied. Then the shoe upper which the seamstresses have worked on is then fitted around the last. Following these steps, the toe and instep are shaped, and finally the heel is fixed to give the form of the shoe. I started learning the entire shoe manufacturing process, and because I was really precise doing stitching, at 16 I was already producing samples and I have been doing it since then. 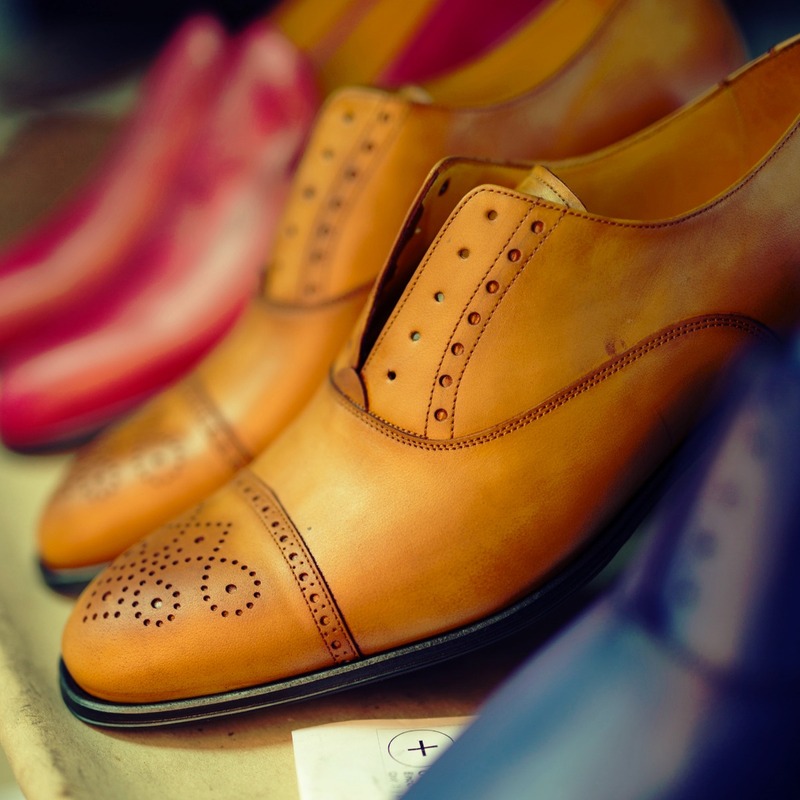 The final flourishes to the shoe process are the applying of the shank, the supportive part of the shoe between the insole and outsole, giving the shoe its final structure and arch support. 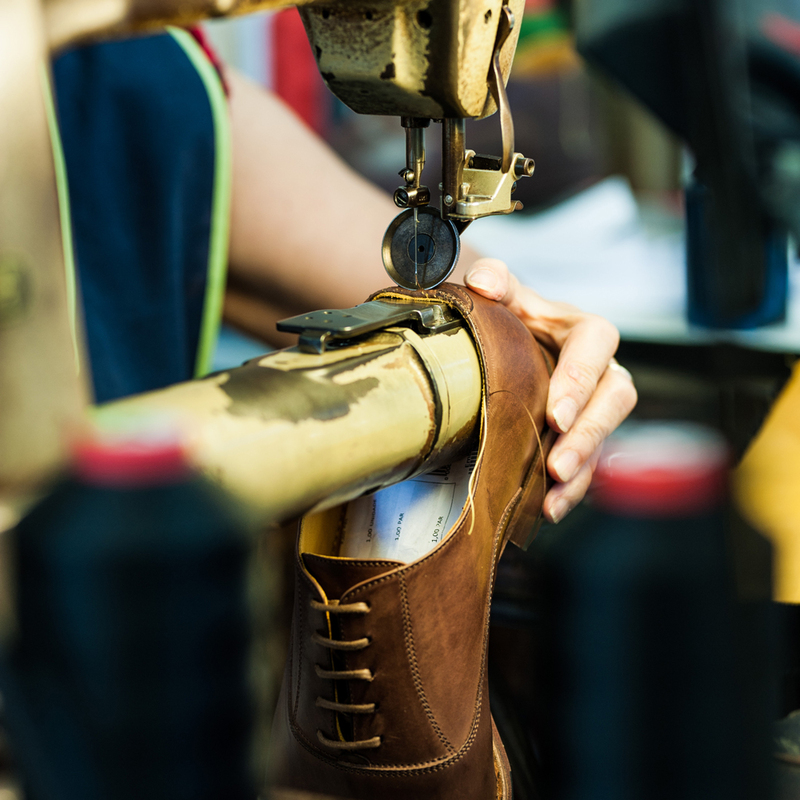 The sole is then attached to the shoe using the Blake Rapid Construction where the outsole is sewn using a single stitch. This construction of the sole is our preferred method as it gives a flexible lightweight feel and is easy to re sole. Our client's creativity is really impressive! The art of patina is the crème de la crème of the handcrafting process. The patina process of applying painstakingly by hand gradual layers of paint adds an aged, and charmingly weathered feel to the leather which is further enhanced with time. 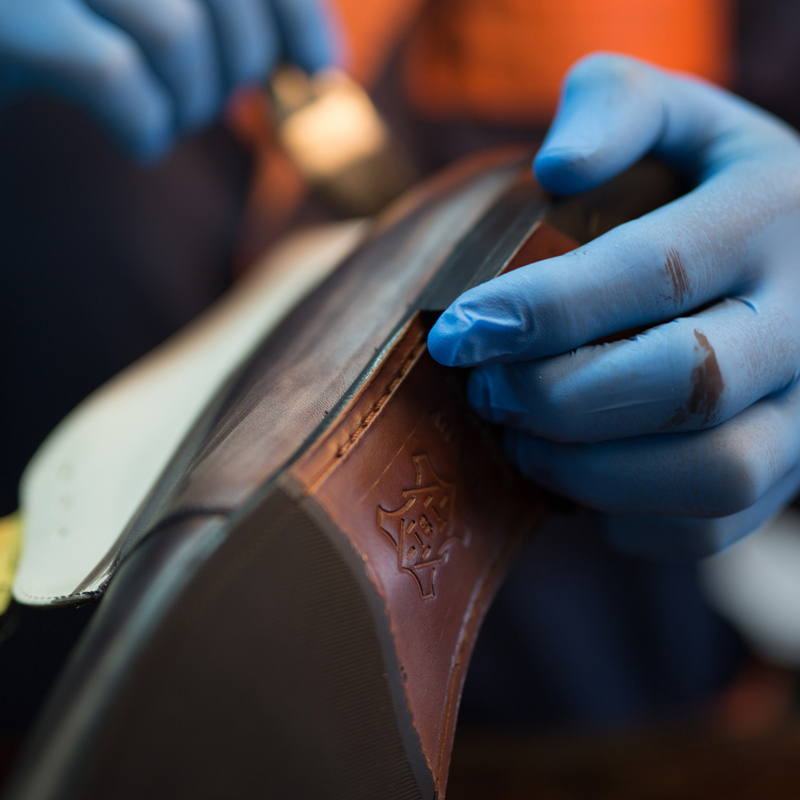 The patina process forges an utterly unique finish to each pair of shoes. The result breathes individuality and can never be exactly replicated. Head painter and downright honourable gent, Snr Artur oversees the hand painting, bringing with his over 50 years in shoe business. 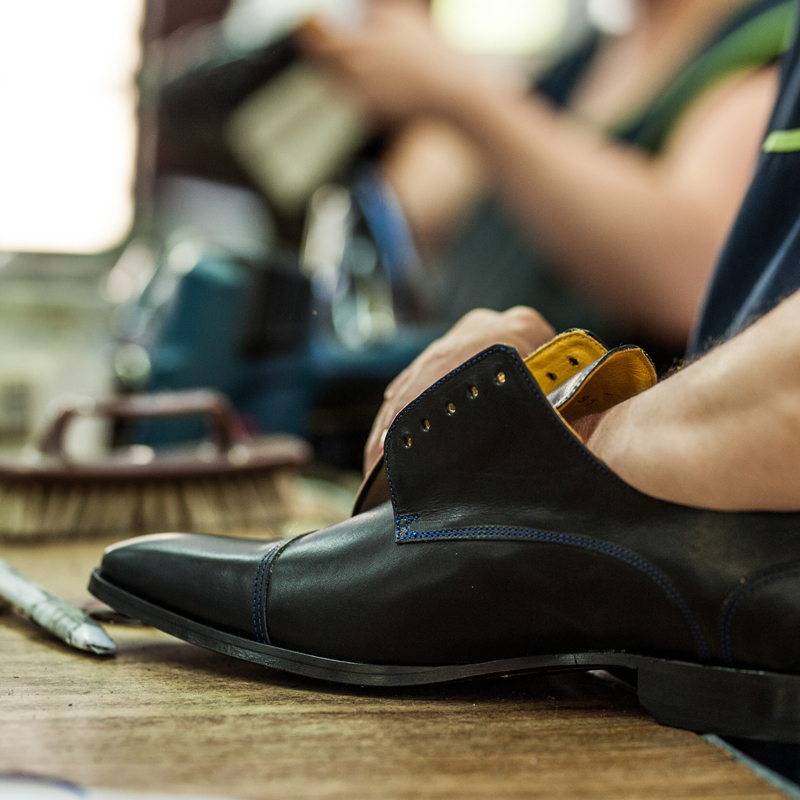 The patina shoes need careful attention. It is not an easy task because it involves hand painting each shoe, so we need to account for variability. 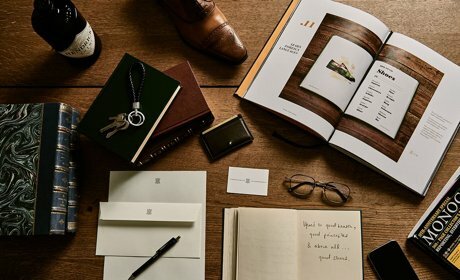 The act of unboxing has reached fever pitch, and unboxing your first Undandys is an experience to cherish, that first heady whiff of the leather, the unwrapping of the paper... Once the shoes have been finished, the leather is then polished and buffed to perfection. Each shoe in the pair is delicately hand wrapped for protection with tissue paper. The quality controller who oversees the packaging of each pair of Undandys is Jose. 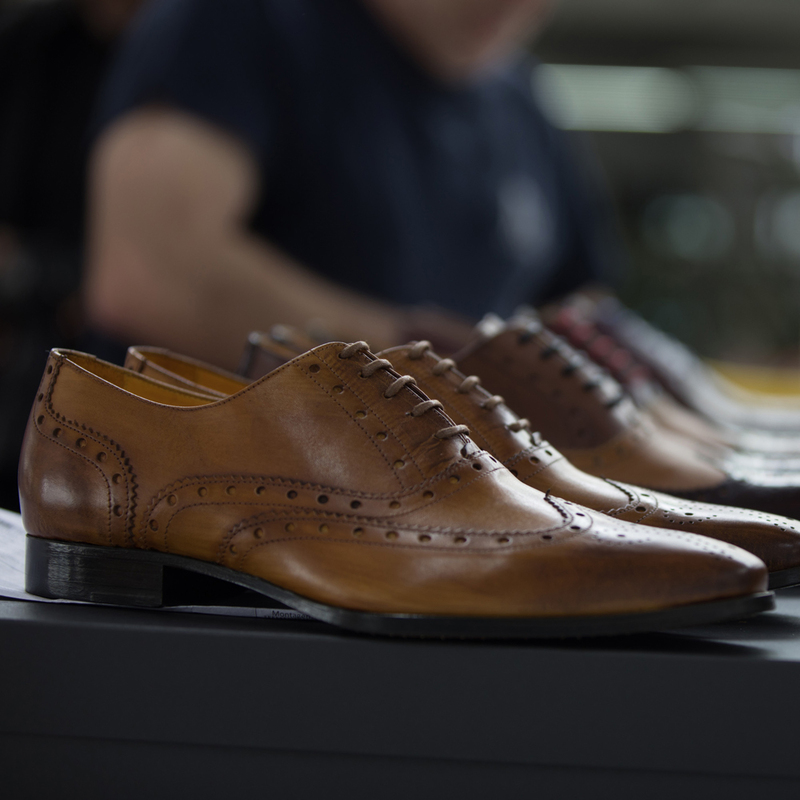 Each pair comes in our signature box, with a Undandy shoe bag to carefully store your custom creations. 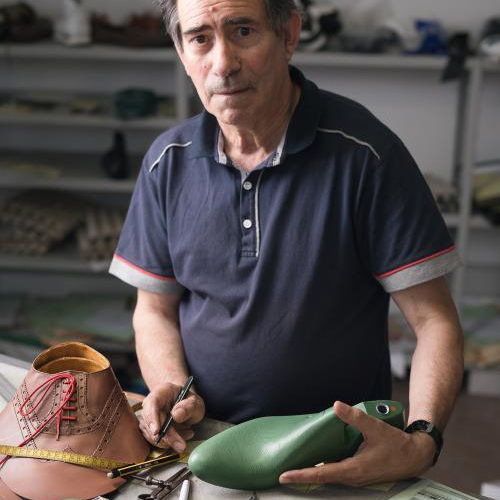 I’ve been working with shoes for almost four decades, I started 38 years ago.